What are your memories of teaching labs? If you did a science or engineering degree, then you most likely have some recollections. Your experiences may have been positive, negative or a mixture of the two, but it’s most likely they were memorable! As educators, we want our students to have the best possible education throughout their time at university. As bioscientists, we know that adding practical aspects can do so much to supplement the theory. Laboratory practicals have been part of science education for over two centuries, running alongside lectures, tutorials and seminars as core components of science higher education. Learning Science is a specialist technology partner with a mission to help universities make the right choices in the rapidly advancing landscape of digital learning. Our individual learning journeys as scientists have a common thread that is undeniably influenced by the hundreds of hours spent in teaching labs. Responding to the demands of higher education to enhance (not replace) laboratory practicals, the company focuses on the interplay between three core disciplines: science education; learning design and web technology. Goals: Why do we run teaching labs? We run teaching labs because we are training students for a professional world. Many of our students today will become the scientists of tomorrow. To improve, one must practise. Teaching labs allow students to practise thinking and acting like professional research scientists by experiencing the equipment, protocols and working environment of a real lab tailored for their needs. Of course, there’s much more to practicals than following a set of instructions. Experiments produce data which must be acquired, processed, analysed and interpreted. Achieving this requires application, analysis and evaluation, higher order thinking skills on Bloom’s taxonomy. These intellectual skills are valued by a range of employers, within the biosciences and beyond. Teaching labs have the potential for developing many transferable skills Working together with lab partners requires effective communication and organisation, and completing lab work requires organisation, problem solving and time management. These skills can benefit any student on the course, no matter what field of work they aim to graduate into. In order to gain a snapshot of how teaching labs are viewed across Europe and beyond, we surveyed delegates at the FEBS 2018 Congress in Prague, Czech Republic. The survey questioned teaching staff (42 respondents from 34 Higher Education institutions across 15 countries) on various aspects of teaching labs in their department. Teaching labs were near-ubiquitous in those surveyed. 95% of respondents stated that their undergraduate students had at least one weekly teaching lab (the remainder did not know). Overall, the majority of respondents believe teaching staff and students value teaching labs. When asked ‘How strongly do you agree with: “Teaching staff highly value undergraduate teaching labs at my institution.”’, 86% of respondents stated that they agreed or strongly agreed. When asked whether students highly value these labs, 69% agreed or strongly agreed. This may appear like lower student enthusiasm for labs, but when considering the “strongly agree” responses only, the student response (45%) is slightly higher than for teaching staff (43%). We did not survey students directly and the results are a reflection of staff perceptions of student views. These results give a broad snapshot, but there is much to discover. We would encourage staff to determine their own students’ perceptions of teaching labs at their institution. 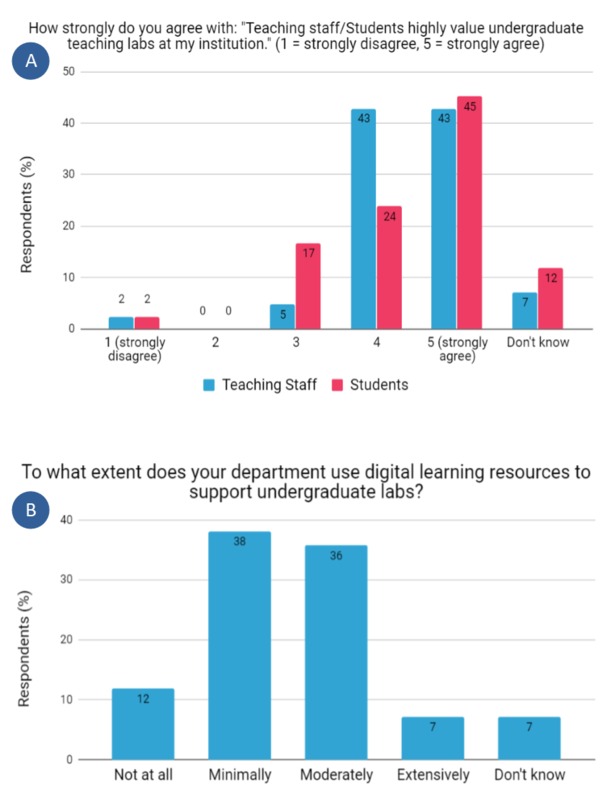 In light of the increasing discussion in education communities about digital integration within higher education courses, we also enquired ‘To what extent does your department use digital learning resources to support undergraduate labs?’ There was considerable variation in responses. The most frequent was ‘Minimally’ (38%), closely followed by ‘Moderately’ (36%). 12% of respondents reported ‘Not at all’ using digital learning resources in teaching labs, whereas 7% stated that they were used ‘Extensively’. The situation reflects an education technology landscape with wide variation between institutions, and this is even the case between universities in the same country. 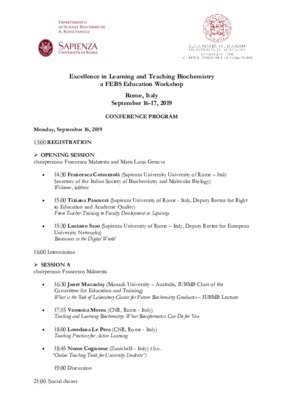 However, looking more widely at practice around the world we can see that in countries like the UK, USA and Australia, e-learning has become deeply embedded in science education and it seems that this move towards incorporating digital learning into core teaching practices is likely to be mirrored in many other countries as the uptake of learning technology accelerates. As discussed earlier, teaching labs have large potential for developing students’ practical, intellectual and transferable skills. They are also highly valued by academics, employers and students. Given this, how can educators involved with the organisation or running of laboratory practicals add value? For the rest of this article, we will explore ideas, innovations and examples of good practice which could help your students get the most out of teaching labs: before, during and after the practical. Teaching labs are complex environments and students, especially new ones, have a lot to take in. Students contending with too much information at once may suffer cognitive overload, thereby reducing the learning potential of a lab. Spreading the time over which information is presented can reduce cognitive overload. The more information students absorb before the practical, the more they can focus on the scientific learning objectives whilst they’re in the lab. Educators can provide students with pre-laboratory information in the form of text, images, videos and other media formats. This could include details of the underpinning theory, guidance on how to use the equipment, copies of the protocol, quizzes, even a virtual tour of the lab layout for increased familiarity. These can all be uploaded to Learning Management Systems/Virtual Learning Environments (MLSs/VLEs) such as Blackboard, Moodle or Canvas for students to work through at a time suitable for them. 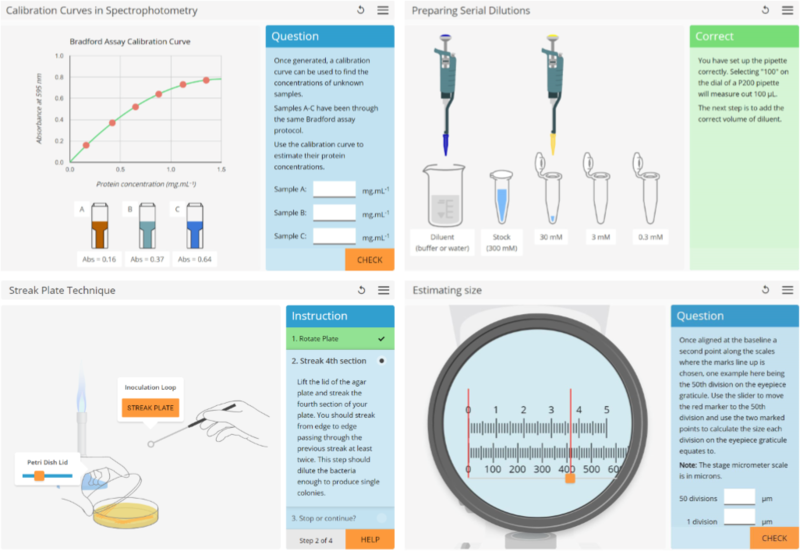 Figure 2: A selection of bioscience interactives available from Learning Science Ltd. The Blackburn et al paper reported findings on the corresponding chemistry resources. The simulations were widely used, and popular among students and demonstrators. They write: ‘We have noticed a positive impact on student confidence, competence and attainment as a result of the adoption of pre-laboratory simulations’. The researchers also reported 1.6x times more views in students with learning difficulties such as dyslexia or ADD, perhaps because they chose to engage more in order to meet their learning needs before the lab. Overall, pre-lab information, presented in an active and engaging way can boost students’ understanding, confidence and motivation, even before they step foot in a teaching lab. There are many ways to run teaching labs, with a particular variety in what students are given and what they are encouraged to work out for themselves. Lower-autonomy practicals may be suitable at the start of programmes to cover basic theory and practice. However, these labs are more passive, may limit students to lower-order thinking and not fully prepare them for working research labs. 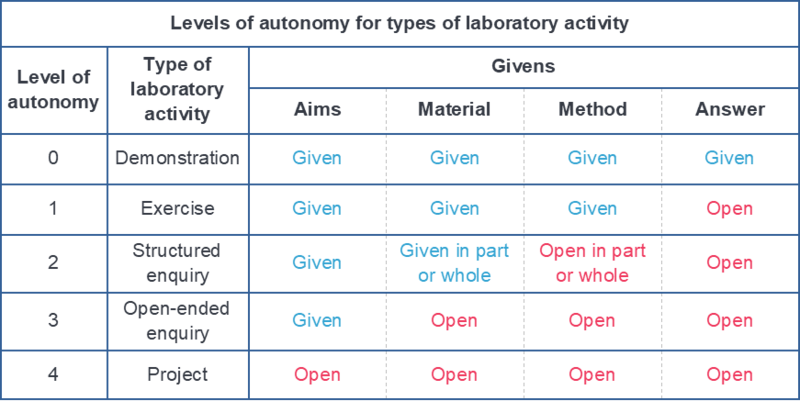 Therefore, over the course of an undergraduate degree, it could be advisable to incorporate labs with higher student autonomy and a focus on active learning and higher-order thinking: analysis, synthesis and evaluation. Boyd-Kimball and Miller from the University of Mount Union redesigned an advanced biochemistry lab, moving away from structured enquiry or ‘cookbook’ style labs and towards a more research-based project. The students were given reduced instructions: enough to get them started but requiring additional work such as making their own calculations and consulting primary literature. Students developed their research approach in small groups, and presented their findings to the class. The activity produced large self-reported learning gains: 95% of students reported increased confidence in troubleshooting experiments, 91% reported increased comfort with adapting procedures from primary literature and 86% reported increased comfort with connecting hypotheses to experimental design. Care must be taken as removing the scaffolding too rapidly may lead to an inability to complete the experiment. Increasing students’ autonomy gradually throughout the course keeps learning in the Zone of Proximal Development, leading to steady growth. Reflection is one of the four major components of Kolb’s Learning Cycle, so adding activities which encourage reflective practice can deepen the relationship students have with their own learning and personal growth. Yet it is often neglected in teaching labs. 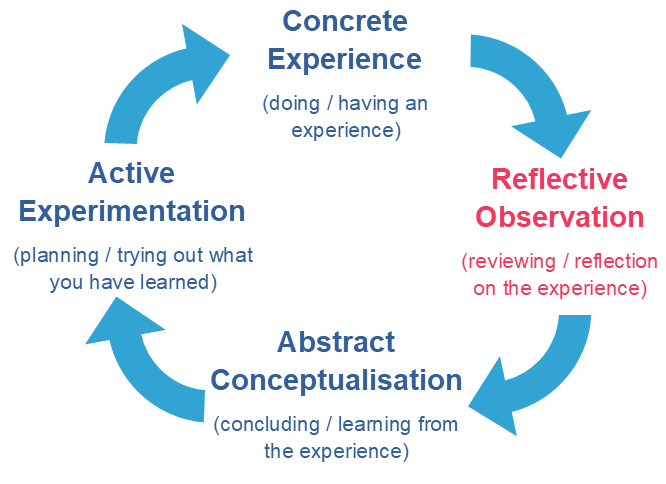 A 2012 study by Parry et al from Liverpool Hope University, UK believes itself to be the first reporting of ‘using reflective practice to deepen learning within the laboratory setting.’ This research incorporated a ‘critical incident report’ into traditional practical lab write-ups. Students were given space to reflect on a memorable occurrence from the practical: considering the context, causes, whether the outcome was positive or negative, and how future behaviour might increase or decrease the likelihood of this occurring again. In this study, surveys were supplemented with a student focus group. The survey reported an increase from 72% to 94% of students agreeing that ‘I look at evidence carefully to reach my own conclusion about what I’m studying’ and ‘I pay careful attention to any advice or feedback I’m given, and try to improve my understanding’ over the course of the intervention. The survey reported a decrease in students who agreed ‘After a practical I always reflect on what went well and what did not go well’ from 84% to 64%. This might suggest a retrograde effect of the intervention, but discussions with focus group revealed that students had in fact gained a better appreciation of what it means to reflect, and many realised they were not always doing it. This demonstrates how quantitative and qualitative data collection can complement each other to paint a richer picture of the results. Feedback is the process by which output signals from a given system affect the input, creating a cycle or loop. In education, this cycle is completed when a student accepts, internalises, processes and uses directed guidance as an input to improve future work. To be effective, assessment feedback should be timely, personal and easy to use. Yet staff time is often limited, and scalability with increasing student numbers can be a challenge. Seery et al from the University of Edinburgh incorporated peer observation and student-generated videos to add a new dimension to laboratory assessments and feedback. Students watched exemplar videos of key lab techniques. Then in the lab, they were recorded demonstrating these techniques on a mobile phone by a peer. Students could reshoot their video if they wished based on formative feedback provided by a ‘peer observation sheet’. They uploaded their video to a platform of their choice (developing digital literacy skills. These were reviewed by staff members who awarded digital badges upon passing. Students rated a significant increase in knowledge, experience and confidence in the techniques as a result of this intervention. This represents one of many ways of providing students with additional feedback without proportionately increasing staff workload. Running training sessions and offering demonstrator support throughout the year to foster behaviors like those above could increase positive and meaningful interactions, thereby motivating and inspiring your students in the lab. Consider how well you know your students. Find out what motivates them, what are their reasons for taking your module or course? Do they have any concerns about their studies? What other commitments do they have alongside their university work? Every student cohort is different, so get to know them each year for valuable insights. 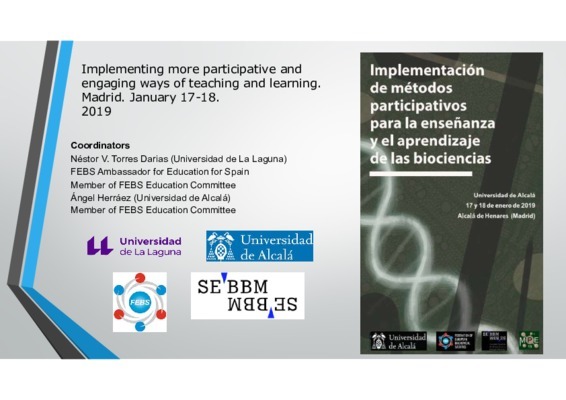 In this article we have considered a few examples of teaching lab practice which have been reported in the pedagogical literature. This itself represents only a small fraction of the innovative practice happening all the time at higher education institutions around the world. Each intervention requires considerations of context, specific requirements and limitations, but opportunities abound. Teaching labs are a great opportunity for developing practical, intellectual and transferable skills. Students have benefitted from them for hundreds of years, but there is always scope for improvement. Through sharing ideas, by harnessing new technologies and understanding how students learn, we can keep lab practicals engaging, enlightening and enriching. Past Assistant Teacher at the University of Bristol. Preparing students for practical sessions using laboratory simulation software. J. Chem. Educ. 96, 153-158. From cookbook to research: redesigning an advanced biochemistry laboratory. J. Chem. Educ. 95, 62-67. Reflective practice: a place in enhancing learning in the undergraduate bioscience teaching laboratory? Bioscience Education 19, 1-10. Developing laboratory skills by incorporating peer-review and digital badges. Chem. Educ. Res. Pract. 18, 403-419. Nice to meet you! 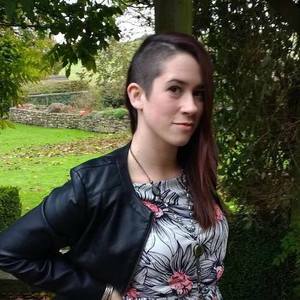 I am a Digital Content Creator for Learning Science Ltd, an education technology company dedicated to making interactive and engaging resources to support all aspects of science education with a core focus on undergraduate laboratory teaching and learning. I am a Fellow of the Higher Education Academy (FHEA) and a member of the Biochemical Society.